We are excited to announce our attendance of QuakeCon 2017! 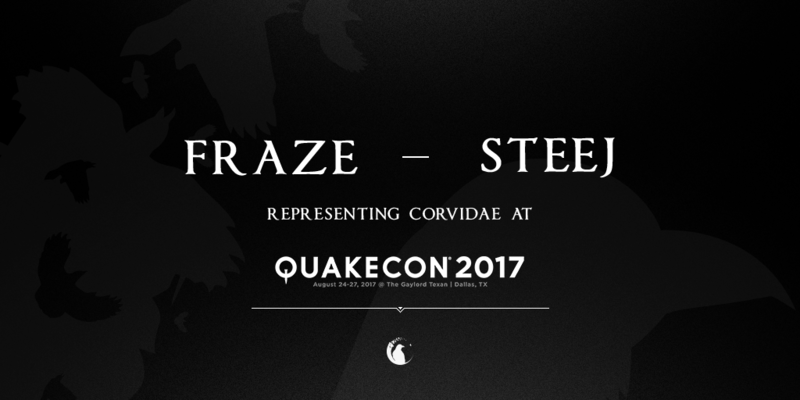 A year on from Frazer ‘FraZe’ Hockley’s attendance of QuakeCon in 2016, we are recommitting to the event. This year, QuakeCon will be showcasing Quake Champions, the new game from Bethesda. Featuring the first World Championship for the game, this is the first major event for the title since release. 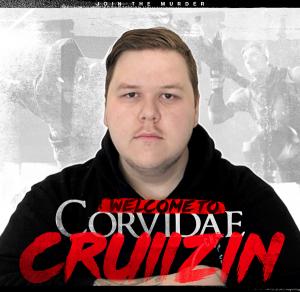 FraZe will be attending again after a really strong showing last year, placing 5th, losing to one of the worlds best, Zero4. 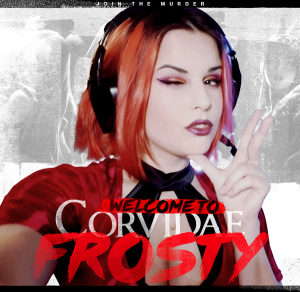 I want to thank my sponsor, Corvidae. It has been a pleasure to work with them over the last year and I can’t thank them enough for giving me the opportunity again this year to travel overseas to compete. With regards to Quake Champions, I haven’t had as much time to practice as I would have liked due to real life commitments, however, what I have played I have enjoyed aside from the net code problems most players have had to deal with (can’t wait for Perth servers). The game feels a lot like Quake still, so I believe it can be successful. I would like to improve upon last year’s performance at QuakeCon, even if that isn’t in terms of final placement but in terms of financial earnings. It is a shame it’s not really possible for us to have a sacrifice team, but I have always primarily been a Duel player anyway and I can’t see that changing for Quake Champions. I have always thought that the communities outside of Europe and North America do have quality players that can do well in tournament conditions. So, I am looking forward to representing these smaller communities once again, showing that even though we have a smaller population we can compete with the rest of the world still. This year, we will be sending a second player to compete as well in the form of Tyler ‘Steej’ Joseph. 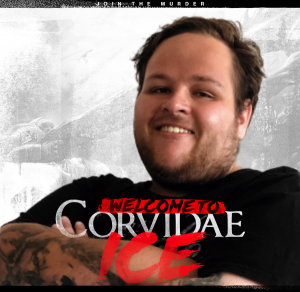 A well-known name in the gaming community, having played at the top level in multiple titles now and already asserting his dominance Quake Champions. With Quake now having the backing of Bethesda, a powerhouse in the games industry, we are extremely excited to be involved. The game looks and feels great, with a lot of developer support behind it. The game is showing a lot of promise and the community is growing day by day. After the QuakeCon event, there will be a lot more people getting involved in our region. Quake is a game that brings back many memories for me, having played it quite a bit when I was younger. The game has evolved so much but definitely stuck to its roots which I absolutely love. It still feels exactly the same as what you would expect from a Quake title, with all the expectations of a modern game. I am excited to see what the boys can do overseas and pretty confident that our region will not be taken lightly. We would like to thank the team at Bethesda Australia and New Zealand for all the help and support they have given us so far and the continued support they will be giving us. They have been nothing short of amazing and have assisted us in every step of the way. It is amazing to know that the developer gets behind the community and truly cares.